If you’re looking for inexpensive cosmopolitan living—but with many of the conveniences you’d expect in San Francisco, Miami, or any other major First-World city—you owe it to yourself to take a serious look at Panama City. 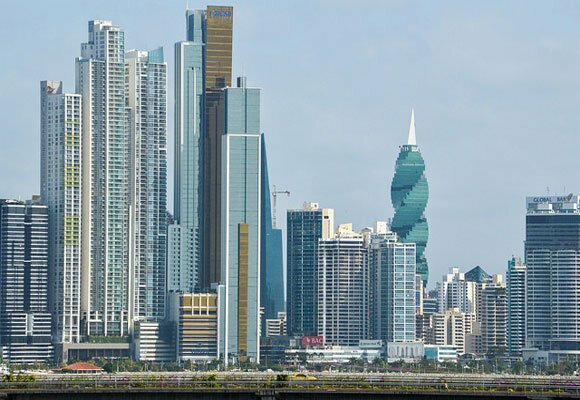 Panama City boasts a skyline of skyscrapers, modern office buildings, condo complexes and hotels of shining glass and steel, with world-class views of the Bay of Panama. Its a major international commerce and banking hub, home to nearly 80 of the world’s largest banks, scores of international non-profits, and giant multi-nationals such as Federal Express, Dell, 3M, and many more. 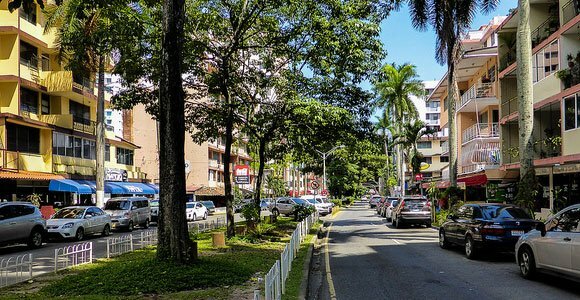 Expats are attracted here thanks to its first-class health care and thriving property market that lends to a viable yet luxurious way of life in Panama City. Here, your international phone calls go through the first time, every time. High-speed Internet is the norm, rather than the exception. Power and water service are reliable and every amenity you could possibly want is within easy grasp. Panama City has also become one of the region’s leading culinary destinations, with eateries of every variety offering high-quality, fresh fare, often for much less than it would cost stateside. 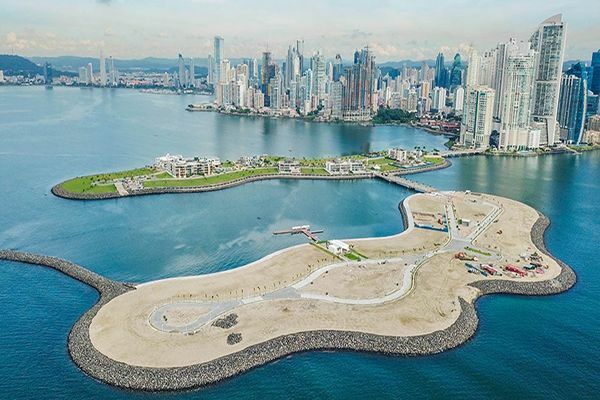 While it is the most expensive part of Panama, the cost of living here is low when you consider the facts: Panama City is a world capital, on the water, home to the Latin America’s premier airport hub and just a three-hour flight from Miami. It has a mild climate and is located completely outside the hurricane belt. Indeed, there are few cities in the world that offer all these things…and none so affordable. As the cost of living in Panama City offers plenty of high-quality options, some of the below costs come in ranges. Plus, it’s important to note that you may not want a car if you decide to live in Panama City (or even outside the city). The metro costs just $0.35 to ride, most bus rides cost $0.25, and ride-sharing apps like Uber are popular and inexpensive, with rides often costing $4 to $5. Taxis are also inexpensive and ubiquitous, often no more than $5, even during rush hour. In rural areas and small towns and cities, $2 fares are common. As Panama City is on the coast, it is breezy and warm. Sundown temperatures are usually 76 to 78 F, with average daytime temperatures around 88 F. Many expats here use air conditioning on hot days, but using it 24-hours a day will lead to higher electricity bills. Like many expats, you may find it difficult to resist having a maid. It’s easy to find help in Panama City, and a good employee can greatly improve your quality of life. A full-time, live-in maid can cost you as little as $250 a month. Many capitalinos (residents of the capital) have part-time maids who they’ll pay $15 per visit. This usually includes cleaning, laundry (no ironing), and can include cooking and babysitting, too. Movie tickets in Panama City are about $6 and pensionados pay 50% less. On Wednesdays, many theaters are half price for all moviegoers. A popcorn, nachos, and soda combo will cost you about $6. And in case you’re wondering, Panama gets a wide-array of first-run and blockbuster movies. Most films are played in the original language with Spanish subtitles. Panama City caters to a variety of lifestyles. While its ultra-modern skyline lends to its reputation as a booming business town, it also offers low-key, laidback living in neighborhoods that wouldn’t be out of place in small towns in the U.S. or Canada. There is a huge selection of restaurants to choose from. You could eat out here several times a week—there are still plenty of places where you can grab lunch for $7 to $10 and sip a beer for $1. And think of the little luxuries you’ve denied yourself over the years. Maybe you’re hoping in Panama, you’ll be able to play golf more often…afford weekly massages…even see the dentist or dermatologist more regularly than you did back home. Here, you can stop hoping, and make all those luxury lifestyle dreams come true. 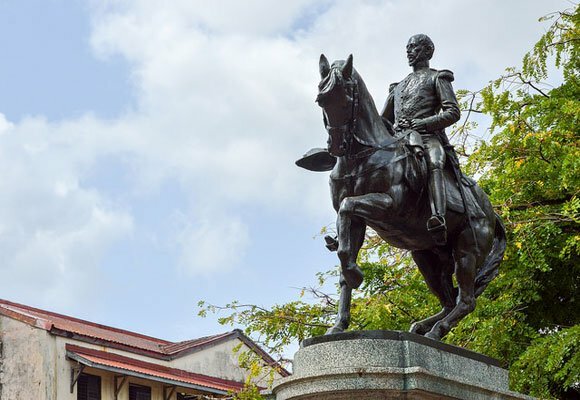 Panama City—Central America’s true First-World capital—offers the perfect mix of old and new, modern and traditional. Here you can eat in a gourmet restaurant, attend a jazz festival, watch a movie (in English)…do just about anything you would be able to do in many of the First-World cities that we all love. But in Panama City, you can do it all for less. A luxury lifestyle in the “Hub of the Americas” is easy. And it is also one of the safest capitals in the Latin American region. 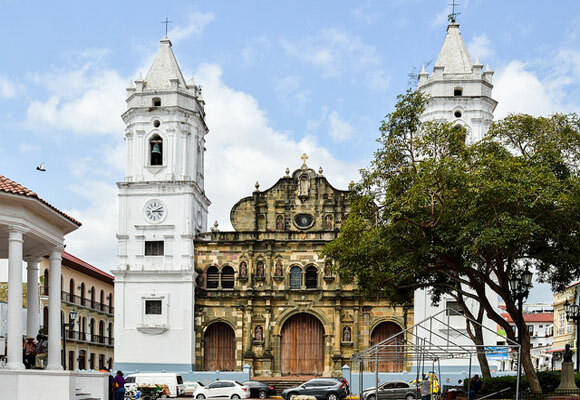 In Panama City you’ll find a rich cultural tapestry—the result of a fascinating history. 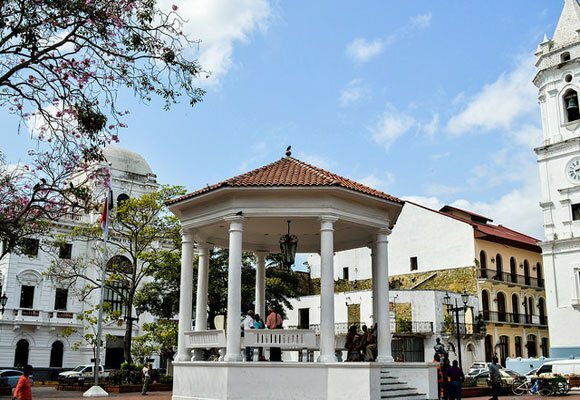 From the colonial buildings in Casco Viejo to the many festivals that take place in the city throughout the year, there are myriad opportunities to immerse yourself in traditional Panamanian life. Looking for an escape from the city’s hustle and bustle? Beaches and mountains are both within easy striking distance when you live in Panama City. 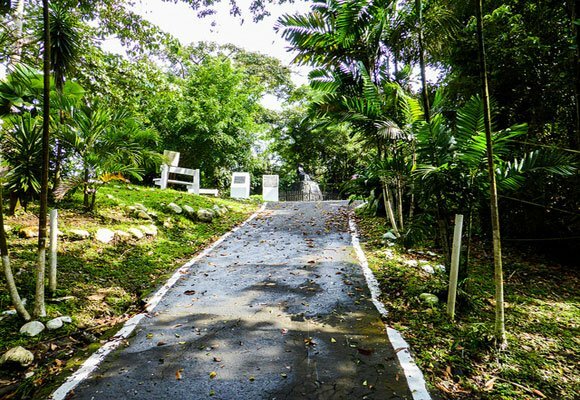 The beach town of Coronado is just an hour’s drive away, as are the lush mountainscapes of Cerro Azul. 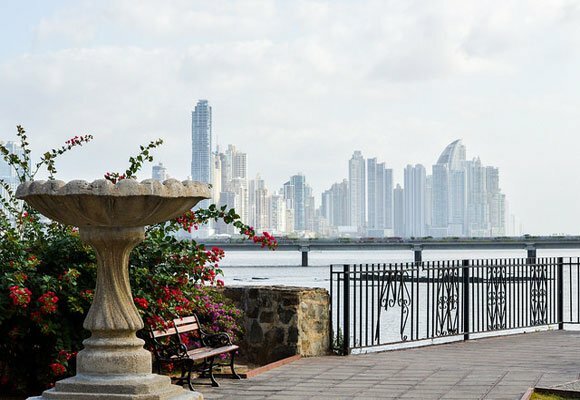 When it comes to overall value, Panama City shines. It’s Central America’s only true metropolis, with a thriving art scene, a large roster of sporting and fitness-related activities, a scintillating nightlife, and just about anything else you’d expect from a world-class capital. Cosmopolitan lifestyles, top-notch healthcare, and close proximity to the U.S. have all helped transform this hub for business and trade into one of the world’s most desirable expat destinations. Panama City is full of many different nationalities and religions so you’ll never feel like an outsider. Its diversity means that you may see a cathedral, like the Catedral Metropolitana pictured here in the same area as a synagogue or a mosque.